GO SHARE貸出拠点、離島ターミナル（安栄観光）、ドン・キホーテ石垣島店 発or着がご利用条件になります。 / Only for transportation heading to or departing from GO SHARE Renting Point, Seaport Terminal (ANEI KANKO) or Don Quijote Ishigakijima. GO SHAREの電動バイクご利用、安栄観光のフェリー／ツアーご利用、ドン・キホーテでお買物のお客様に限ります。 / Only for customers of GO SHARE, ANEI KANKO or DON QUIJOTE. 幼児（6歳未満）及び車椅子の方は対応可能な車両の用意が無いためご利用出来ません。 / Unavailable for infant (under 6 years old) and person using wheelchair. ※Email will be sent to this address for verification. (1) As set forth in Clause 5, the Monitors shall register (i) the pick-up point, (ii) the drop-off point, (iii) the number of passengers, and, (iv) the desired pick-up or drop-off time, and in doing so shall thereby complete the registration of their request for a pick up (hereinafter, the “Request for Transportation”). (2) In response to each Request for Transportation registered by the Monitors as stipulated in immediately preceding Clause 1 (1), e-SHARE will arrange for a Vehicle to collect the relevant Monitors and will designate the associated route of transportation, and the Monitors shall ride on the Vehicle as designated by e-SHARE. (3) Following the completion of the journey outlined in the immediately preceding Clause 1(2) hereof, the Monitors shall provide written answers to a Questionnaire provided pursuant to Clause 8 hereof. e-SHARE will undertake, based on the Request for Transportation: (i) arrangement with respect to the Vehicle; (ii) the designation of the associated route of transportation; and, (iii) any other necessary arrangements with respect to the transportation of the Monitors (points (i) to (iii) inclusive being referred to as the “Arrangement for Ride”) for the Monitors. The Arrangement for Ride will be operated by e-SHARE pursuant to the following framework and principles. (1)	The Monitors shall acknowledge, confirm, and, agree, through their participation in the PoC Program: (i) that the Arrangement for Ride shall not fall within the category of a transportation regulated and protected under the Road Transportation Act; and, therefore, (ii) that any safety measures and customer protection measures as required under said Road Transportation Act shall not be required to be provided to the Monitors by e-SHARE under the PoC Program. (2)	e-SHARE will purchase insurance with the following coverage. (3) Amongst the Organizers, it is agreed that e-SHARE, as the sole transporter of Monitors, is solely responsible for any incident arising out of the Arrangement for Ride under the PoC Program, and, accordingly, the Monitors hereby acknowledge, confirm, and, agree, that by participating in the PoC Program, they hold SC and SMTC harmless from any liability or third party claims arising through the Arrangement for Ride under the PoC Program. The operational area of the Arrangement for Ride shall be determined by the Organizers and separately made available to the Monitors through PoC App. This PoC Program shall commence on 28 January 2019 or such other time as the Organizers shall, in their sole discretion, decide. The operational time of the Arrangement for Ride and availability of the relevant services thereunder shall be determined by the Organizers, in their sole discretion, and separately made available to the Monitors. Participation in the PoC Program and utilization of the Arrangement for Ride by the Monitors itself will be free of charge; provided, however, that, the Monitors shall bear any and all cost other than said free transportation, including, without limitation, telecommunication cost, internet connecting fees, and charges associated with the usage of their own or third parties’ telecommunication devices, such as smart phone or tablets, and costs incurred to access to the PoC App and the internet web site for this PoC Program (hereinafter, the “PoC Web Site”). The Request for Transportation will be registered through the PoC App provided by Mirai Share Co., Ltd. The URL, Login ID and Password which enables the Monitors to gain access to and enter into the PoC App shall be informed to the user by email or through the PoC Web Site page when the Monitors each successfully complete the user registration at the PoC Web Site. The smart phone, PC or any other devices necessary to access to the PoC App or the PoC Web Site shall be provided by the Monitors. (2) Provide all necessary information regarding the identity and number of Monitors who will be passengers and the requested pick up time and/or drop off time. Subject to availability, a Request for Transportation shall be able to be made by a Monitor on the same date that the relevant Monitors wish to make the required Arrangement for Ride. 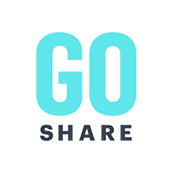 However, due to traffic conditions and the availability of Vehicles in operation, it may not be possible for each Request for Transportation to be accepted by e-SHARE. For the avoidance of doubt, the Organizers shall have discretion as to whether to accept a Request for Transportation or not (regardless of whether it is made on the same date, or a different date, as the required Arrangement for Ride). e-SHARE will, based on the Request for Transportation from the Monitors, notify the Monitors of: (i) the Vehicle registration number; (ii) the estimated pick-up and drop-off times; and, (iii) the transportation route (and any other relevant information), through the PoC App. Each agreement between the Monitors and e-SHARE will be deemed to become effective at the time when said confirmation information ((i) through (iii) above) is sent to the Monitors. (4) When any other situation (including, without limitation, force majeure event, or, system error or system failure) arises which might substantially affect, limit, disturb, or make it difficult or impossible to wholly or partly provide the Arrangement for Ride or other services contemplated herein. The detail of the Arrangement for Ride will be determined by the Organizers in their sole discretion. In doing so, the Organizers shall have as their primary concern on the prevailing traffic conditions and the availability of Vehicles in operation. In the situation where the Monitors intend to make changes to an Arrangement for Ride, which has already been agreed between e-SHARE and the relevant Monitors pursuant to Paragraph 1, the Monitors: (i) shall cancel and revoke the existing Arrangement for Ride (and their Request for Transportation) pursuant to the subsequent Paragraph 5, and, (ii) shall register the amended Request for Transportation through the PoC App pursuant to preceding Clause 5. Only during the period commencing from the Arrangement for Ride becoming effective and binding between e-SHARE and the Monitors pursuant to Paragraph 1 and ending on the estimated pick-up time designated by e-SHARE, may the Monitors cancel and revoke the Arrangement for Ride (and their Request for Transportation), through the PoC App. The authorized driver of the Vehicle will confirm the identity of the person being picked-up, and ensure this is the same as the Monitor who registered the Request for the Transportation. If the driver of the Vehicle cannot confirm the identity of the relevant Monitors, the Monitors hereby agree and acknowledge that the driver may refuse to transport such person and refuse them access to the relevant Vehicle. The provision of the preceding Clause 7.1 shall be without limitation to e-SHARE’s, and the relevant Vehicle driver’s, general right to refuse, in its sole discretion and at any time, to transport passengers. Depending on the traffic conditions, the availability of the Vehicles in operation, and the operational situation of the Vehicles in operation at any particular point in time, the Monitors hereby acknowledge that e-SHARE may not be able to provide the Arrangement of Ride to the Monitors in accordance with all predetermined conditions (e.g. the estimated pick up and estimated drop off time) notified and designated by the Organizers through the PoC App (and in such case, e-SHARE may, in its sole discretion, change the detail of the Arrangement of Ride). (2)	By way of face-to-face questions from an appointed representative of e-SHARE after each journey has been completed. (8)	any action that may support, oblige, or enable any third party (including, the person riding together with the Monitors) to take any action(s) as stated in the preceding Clause 9.1 (1)-(7). The Organizers may suspend the provision of service to the Monitors in connection with this PoC program, either temporarily or permanently, in the case of (i) the necessity of maintenance, inspection, or construction of any system, assets, the Vehicle or equipment, (ii) operational or technical problems arising, or (iii) similar emergency situations or urgent incidents arising. In such case, the Organizers will use reasonable endeavors to inform the Monitors, noting that, especially in case of emergencies, this may not always be possible or practicable. The Organizers will not be responsible for any damages, expenses, or costs incurred to the Monitors through force majeure events, which includes acts of God (including without limitation flood, typhoon, earthquake, tidal wave, landslide, fire, etc. ), politically or socially unstable situation (including without limitation a war being declared or the threat of the same, civil commotion, blockades, etc. ), damages to infrastructure (including without limitation, explosion, accident or breakdown in whole or in part of machinery, plant, transportation or loading facility, unavailability of transportation, electricity, telecommunication, or loading facility), or any other causes or circumstances whatsoever beyond the reasonable control of the Organizers. The Organizers shall be legally entitled to, at its sole discretion, cancel, amend, reduce, alter, abandon, cease, or, temporarily suspend wholly or partly this PoC Program without any notification to or consultation with the Monitors. The Organizers will not be responsible for compensating the Monitors, and the Monitors shall not be entitled to any compensation, with respect to damages, expenses, or other costs incurred to the Monitors, including in circumstances outlined in the preceding Clause 11.1. The Organizers may use the Personal Information (as that term is defined in Clause 12.1(1) below) of the Monitors obtained in connection with the Arrangement for Ride, particularly the information obtained from the PoC App or PoC Web Site for the following purposes as stated in Clause 12.1(2) below. (f)	Any other matter disclosed and identified in the following Privacy Policies, which are respectively established and published by e-SHARE and SC. The Organizers may disclose Personal Information to third parties only where such information has first been fully anonymized, such that the disclosed Personal Information does not permit the identification of specific Monitors; provided, however, that, the Organizers may disclose Personal Information without such anonymization to third parties who cooperate with or support the PoC Program, including, without limitation, Anei Kanko Co., Ltd. and Don Quijote Co., Ltd.. The Organizers makes no representations or warranties or conditions, either expressed or implied, as to the accuracy, completeness, condition, suitability, performance, fitness for a particular purpose or merchantability, or, ownership, capacity, or authorization necessary to run, or being free of any claims with respect to POC App or its function or its affiliated services or to the Arrangement for Ride. Except in case where a competent court renders that damages, expenses, or costs of the Monitors are directly caused by the Organizer(s)’ willful conduct or by gross negligence, the Organizers will not be responsible for any of such damages, expenses, or costs incurred to the Monitors in connection with participation of this PoC Program. Any inquiry from the Monitors is kindly requested to be made through the following telephone number: +81-980-87-5562.